This college is run by the Rashtriya Shikshan Sanstha Lakhni, which was founded before independence of India in 1941. Our Sanstha's founder Late Shikshan Maharshi Bapusaheb Lakhanikar was a great patriot and a major social worker. He dreamt of a beautiful, educated and civilized society & always tried to realize this dream. Throughout his life, he worked for the overall development of Rashtriya Shikshan Sanatha. In those days, good schools & good colleges were the basic needs of the rural area. He started Samarth Vidyalaya Lakhani in 1941, Samarth Mahavidyalaya Lakhani in 1964 and started many schools and libraries. Our first principal Late Shri. M. T. Deshpande belonged to the reputed Hislop College Nagpur. It was because of the influence of Bapusaheb Lakhanikar that many learned lecturers and staff joined this college. 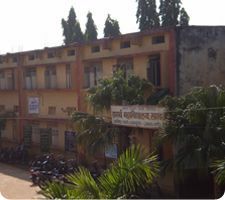 In a very short time the college got established as a reputed institution in Nagpur University Nagpur. Since 1964, our college is continuously marching towards excellence and merit. Access to education is our main aim. Our college had only two faculties i.e. Arts and Commerce till 2005. Now we have added Science faculty in our college. Our present staff is well qualified and efficient to cater the needs of the students. we have undergone NAAC and secured C ++ grade. After accreditation, we realized our lacunas and are trying hard to minimize it. Our college has a great mission from the very beginning i.e. ‘Param Vaibhavm Ne Tum Etat Swarashtram’. It means that we have to take our nation at the glorious heights of the world. We are striving whole heartedly for overall development of our students in this regard.